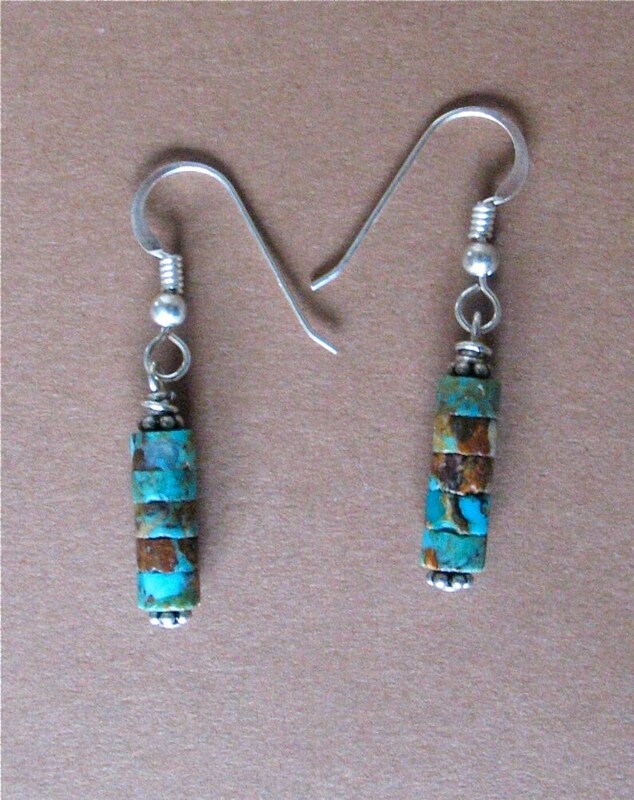 Classic Southwest style turquoise dangle earrings. Made with 5mm turquoise heishi beads. The turquoise is boulder turquoise from the Kingman mine here in Arizona. Boulder turquoise is taken from the edges of the turquoise vein and contains a lot of the surrounding rock. Sterling silver ear wires. The length from the top of the ear wires is 1 3/8 inches.